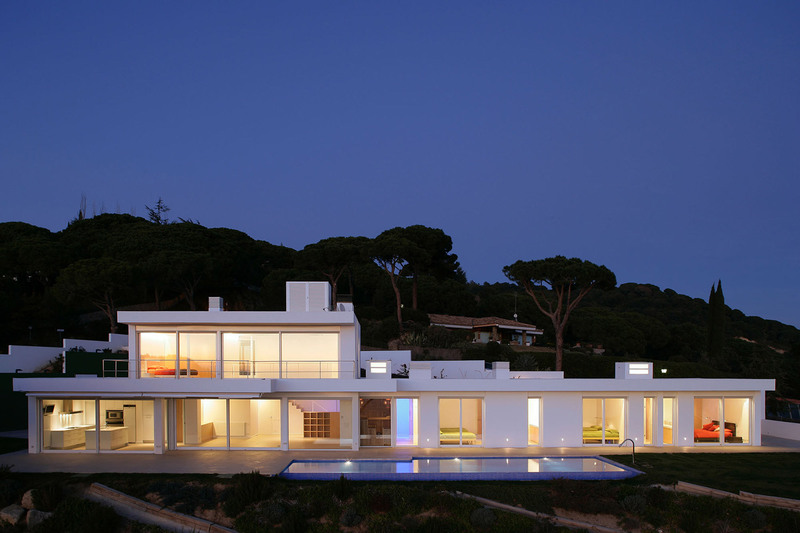 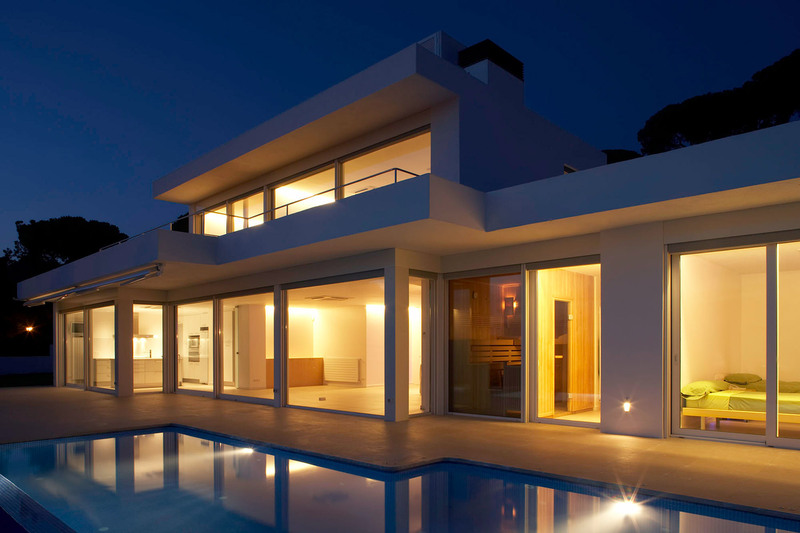 The privately owned residence located in the residential area of Barcelona´s Llavaneras is known for its clear and transparent architecture, where large windows allow a beautiful interplay of daylight and the inside outside of the house. 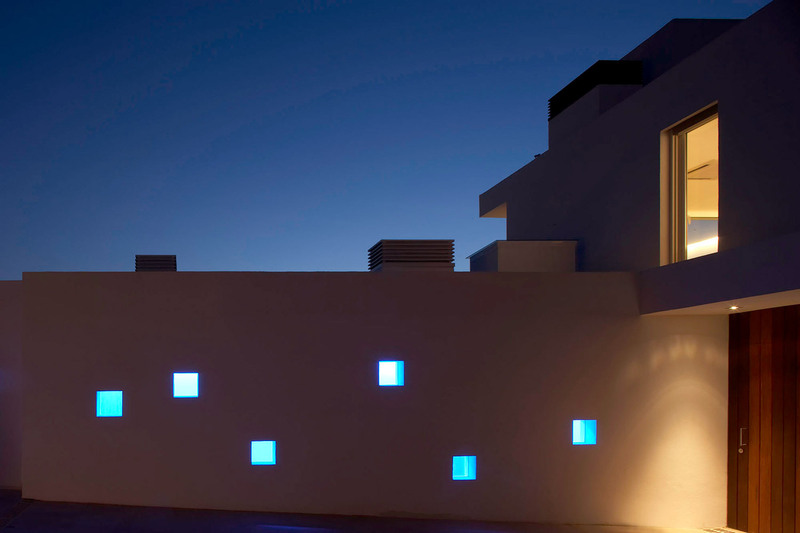 After dark, the house becomes a dimmed landscape “fixture”. 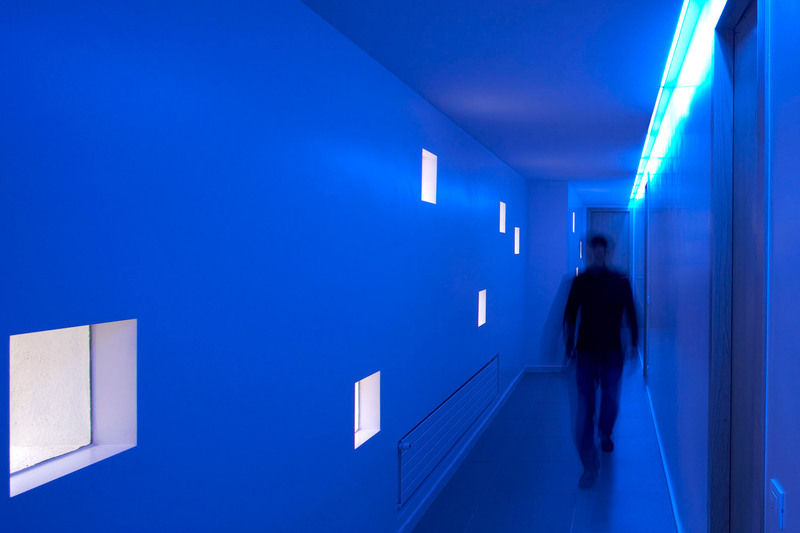 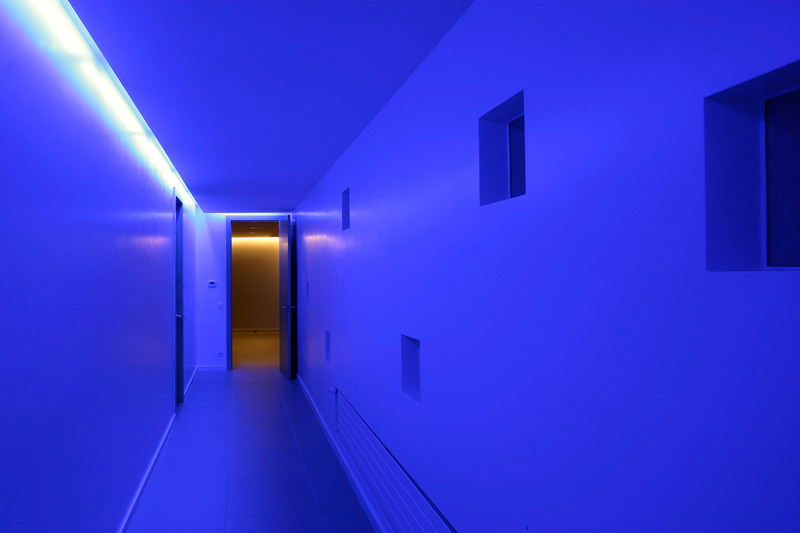 The rear entrance is emphasized by blue lighting raised in a large hall with open skylight on the side, which again creates an atmosphere that embraces the individual, inside and outside the home.